Police have launched an appeal to trace a north-east man who has been reported missing. UPDATE: Findlay Leask has been traced safe and well. 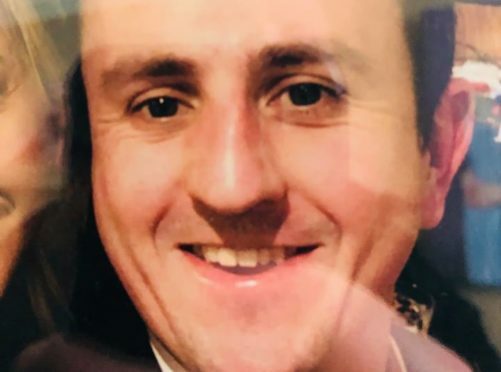 A police statement said: “Officers in Aberdeen can confirm that missing person Findlay Leask from the Kintore area of Aberdeenshire has been traced safe and well. Findlay Leask, from Aberdeenshire, was last seen at about 9.15am today but officers are becoming “increasingly concerned” for his well-being. The 39-year-old, who is about 5ft 11in tall, was last seen wearing a white long-sleeve top, blue jeans and black trainers. Police believe he may be driving a black Volkswagen Golf and he could be heading towards Applecross or Plockton on the west coast. Anyone who has seen Mr Leask should contact police by calling 101 or Crimestoppers on 0800 555 111.